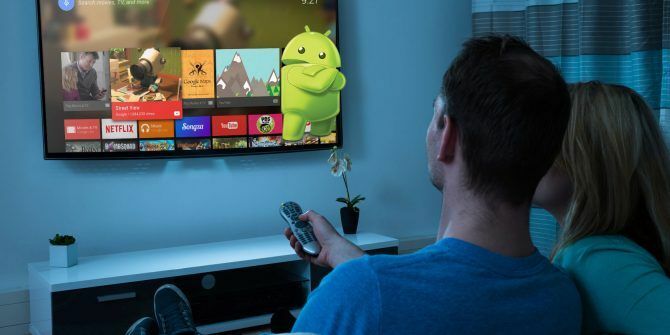 As Android TV continues its never-ending march into our living rooms, users are increasingly looking for cool apps that aren’t available on the smartphone version of the operating system. Or at least, apps that are far more useful on the big screen than on a tiny mobile screen. 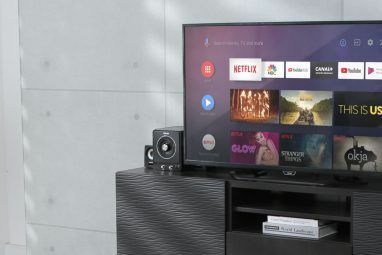 The list of Android TV apps is growing every day. Most of the big hitters (e.g. Facebook, Spotify, Netflix, etc.) are already available. But what other apps are out there? Which non-mainstream apps should every Android TV owner put on their device? Luckily, we have the answers. Here are five unique apps that every user needs to install right now. If you’ve used Google TV in the past, you’ll know there was a setting that allowed you to automatically boot a specific app when the device started. For example, you could make Netflix launch every time you turned your TV on. On Android TV, there is no such setting. You’ll just see the launcher. If you spend most of your time in a particular app, it’s an annoyance. Launch on Boot remedies this omission. Install the app and choose which streaming subscription you want to launch automatically, there’s nothing more to it. One of the best parts of having an Android TV box is its ability to help you cut the cord. With paid apps like Netflix and free apps like Bloomberg and Pluto, there’s hardly any need to keep a cable subscription Should You Cut the Cord or Keep Your Cable TV? Should You Cut the Cord or Keep Your Cable TV? If you're still holding on to your cable subscription, but are debating if its time to make a change, we're here to help. This guide should help you make your mind up. Read More . 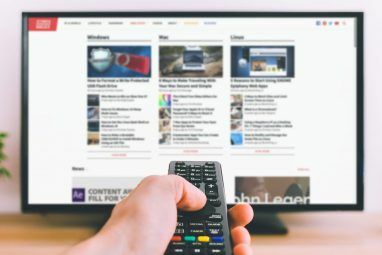 There’s even plenty of choice when it comes to 24-hour news 5 Free Streaming News Channels for Cord-Cutters 5 Free Streaming News Channels for Cord-Cutters One of the biggest drawbacks of canceling cable TV is the availability of news. Or lack thereof. Thankfully, things are changing, and here are now plenty of free news channels for cord-cutters. Read More . And if you still can’t find your fix, you can turn to torrents. Obviously, MakeUseOf doesn’t condone downloading copyrighted material Copyright on the Internet and Why You Should Care Copyright on the Internet and Why You Should Care Copyright is a big deal on the Internet, and it has a huge impact on everyone, whether you create content or just read the stuff produced by sites like MakeUseOf. Read More , but you can still find plenty of legal content on P2P networks if you know where to look. The nature of Android TV boxes means you probably have a lot of storage space to play with. Some models — like the Nvidia Shield Pro — offer as much as 500 GB. With that in mind, why not download torrents straight onto your device rather than using your computer? aria2 is an Android port of the command line BitTorrent client of the same name. You still need a frontend; the app just launches aria2 binary. The developer recommends Transdroid. The Wake on LAN app is the only app for Android TV that can wake up your PC 5 Ways To Remote Control Your PC With Power Or Wake On LAN 5 Ways To Remote Control Your PC With Power Or Wake On LAN Ever wish you could turn your computer on or off remotely or on a schedule or other triggers? Imagine how much time and energy you could save! Time to get familiar with Wake On LAN! Read More from your Android device. In the context of Android TV, a wake on LAN feature has one huge benefit: being able to wake up your home theater PC Your First Home Theatre PC: YouTube Videos on Your TV And More Your First Home Theatre PC: YouTube Videos on Your TV And More This article will give you an overview of how to set up an HTPC, the amazing power it offers, ways to personalize yours, and how to control your system with ease. Read More so you can stream content. Let me paint a picture. Without this app, if you have a dedicated machine that acts as your Plex server and on which you store all your personal media, you have two options. You can either get up off your sofa go and wake it up every time you want to watch something (annoying) or set up your computer so it never hibernates or goes to sleep (expensive). This app solves your problem. It can wake up your computer over the network. You can wake multiple devices at once and even add a Wake on LAN button shortcut to your device’s Recommendation Row. Soon, you’ll also be able to wake devices using voice search. Remember, to make the Wake on LAN technology work, you’ll need to adjust your computer’s BIOS Discover Your BIOS & Learn How to Make the Most of It Discover Your BIOS & Learn How to Make the Most of It What the heck is the BIOS, anyway? Is it really that important to know? We think so and fortunately it's pretty easy. Let us introduce you. Read More . Explaining how to do so is beyond the scope of this article, but a quick Google search will reveal several step-by-step guides. Sticking with the theme of connecting to your computer, why not install Network Browser? 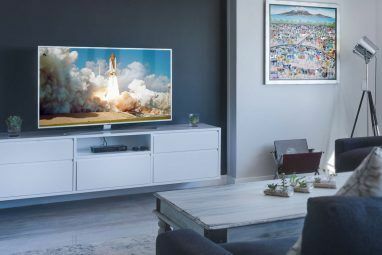 It’s available on the smartphone version of Android, but it’s especially useful on Android TV because you can use it as a way to watch videos or view images saved on your computer on your television’s larger screen. The app can connect to both Windows and Samba shares — you just need to know your computer’s IP address to get up and running. Make sure you change the appropriate settings on your computer to give the Android TV device permission to access the machine’s content. From a support perspective, Network Browser can handle MP3, MV4, and MP4 natively. If your content is saved in a different file format Everything You Need to Know About File Formats and Their Properties Everything You Need to Know About File Formats and Their Properties We use the word file interchangeably: music, image, spreadsheet, slideshow, and so on. But what makes a file a "file," anyway? Let's try and understand this fundamental part of computing. Read More , you’ll need to install a third-party media player on your device. Some common media players have already been adapted for Android TV (including VLC and MX Player), but any Android media player will work. If you’ve read some of our other articles about Android TV, you’ll know some apps need to be sideloaded How to Sideload Any File onto Your Android Phone or Tablet How to Sideload Any File onto Your Android Phone or Tablet You may have come across the term "sideloading" before, but what does it mean? And how can you go about sideloading apps or files? Read More . It occurs when the app you want to install has not been adapted for the TV version of the operating system. Instead, you need to find an APK file and install the smartphone version. Although all the apps in this article have been redesigned explicitly for Android TV, if you have other sideloaded apps on your device, Sideload Launcher is a must-have. Why? Because sideloaded apps don’t show on the launcher by default. Without this app, the only way to launch sideloaded apps is to go to Settings > Apps > Downloaded Apps > [App Name] > Open. It’s a hassle, I’m sure you’ll agree. Instead, this app places a shortcut on the launcher. Open the shortcut, and you’ll see all the apps you’ve installed on the device, including any you’ve sideloaded. The app is made by Chainfire, one of the most well-known developers in the community. Quality is guaranteed. Which Unique Apps Do You Use on Android TV? In this article, we’ve introduced you to five of the most unique apps that are currently available for Android TV. If you install them all, you’ll instantly turn into an Android TV power user. Which apps would you add to this list? What features make the app so special? Why should other readers install it? As always, you can leave all your tips and thoughts in the comments below. And please remember to share this article with other Android TV users on social media. Puppet master is a good one. There's alot of free content and is very easy to install and try out. Google the free repo to install the free channels.